This week "Master - God of Noodles" opens with a nicely timed detailed introduction to the character of Da-hae. Three years have passed and the present finds some of our characters as we left them and a few having made drastic changes. We are also introduced to new people on both sides of Gil-do's plans. Speaking of the Devil, life in Gangnam is sweet and he will let nothing and no one jeopardize it. I was discussing character connections in the series with a friend and she pointed out something my own mind skipped. The possibility that Tae-ha's (Lee Sang-yeob) father could be the killer of Yeo-gyeong's (Jeong Yoo-mi) parents. I assumed his sacrifice was fueled by love. In retrospect, I should expect that a Korean drama would feature twists like this and now I am noticing a lot of possible connections. 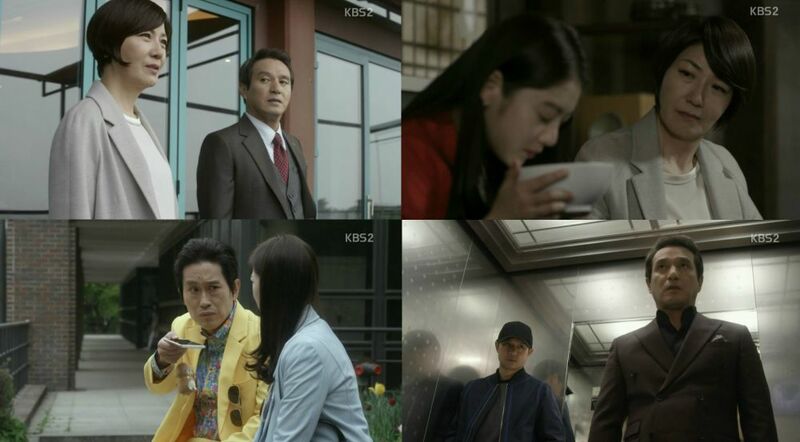 We know Da-hae's (Gong Seung-yeon) parents were also murdered, so perhaps Tae-ha's father and Do-kkoo (Jo Hee-bong) have killed plenty of folks for Gil-do (Jo Jae-hyeon).